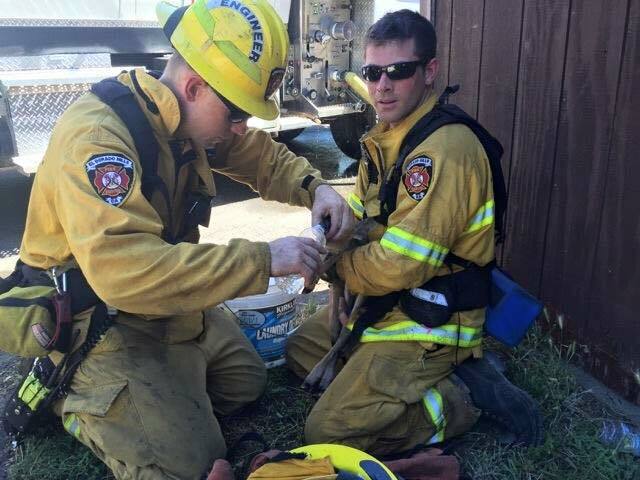 California firefighters rescued more than just homes from a grass fire. A two-week-old fawn got caught in a fence, trying to get away from a vegetation fire in Cameron Park, California on Friday, fire chief Dave Roberts told ABC News today. 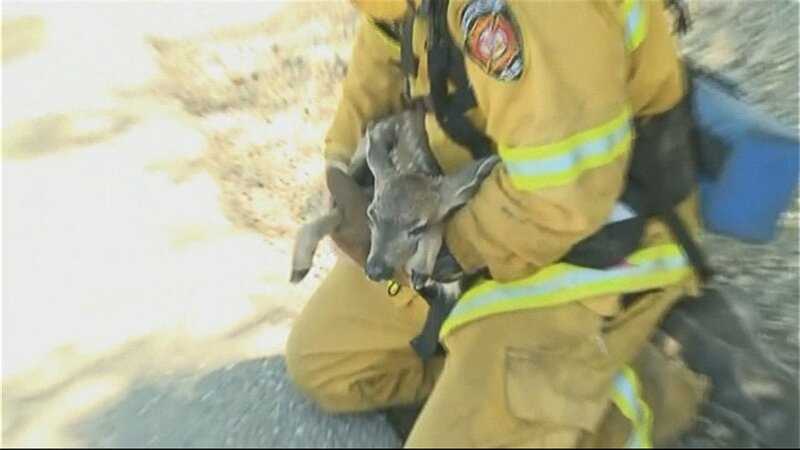 An El Dorado Hills firefighter stepped in and pulled the little guy –- now aptly named “Smokey” -- out of danger. 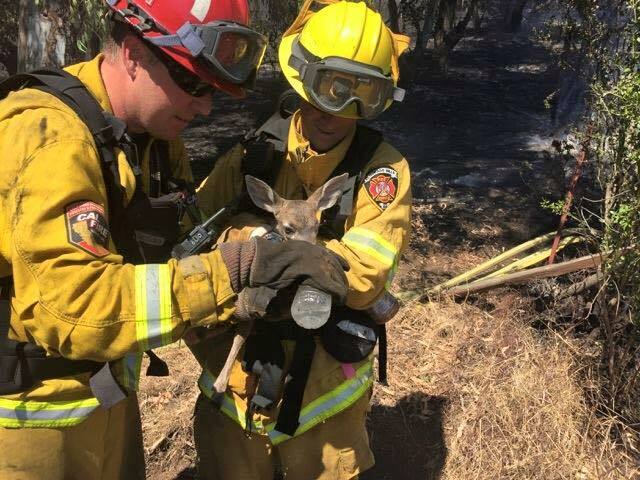 “One of our firefighters noticed the little guy stuck in some wire fencing. We’re guessing he tried to jump the fence to follow his mother,” Roberts said. “He was really weak and lethargic so we kept trying to cool him down with water. He started to finally get his energy back,” he added. Smokey is still recovering at the Sierra Wildlife Rescue, where he’s being fed and given medication. 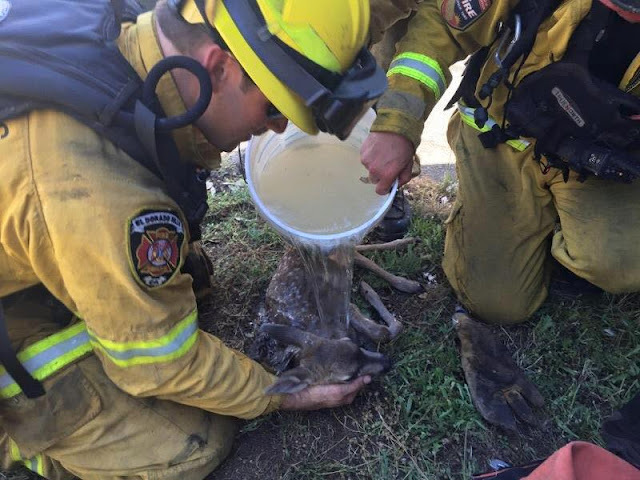 Responses to "California Firefighters Rescue Baby Fawn From Grass Fire (Rescue Video - Photos)"